My has wife commissioned two wire harps from William MacDonald on Skye. The first arrived recently; a 22-string high-headed harp. 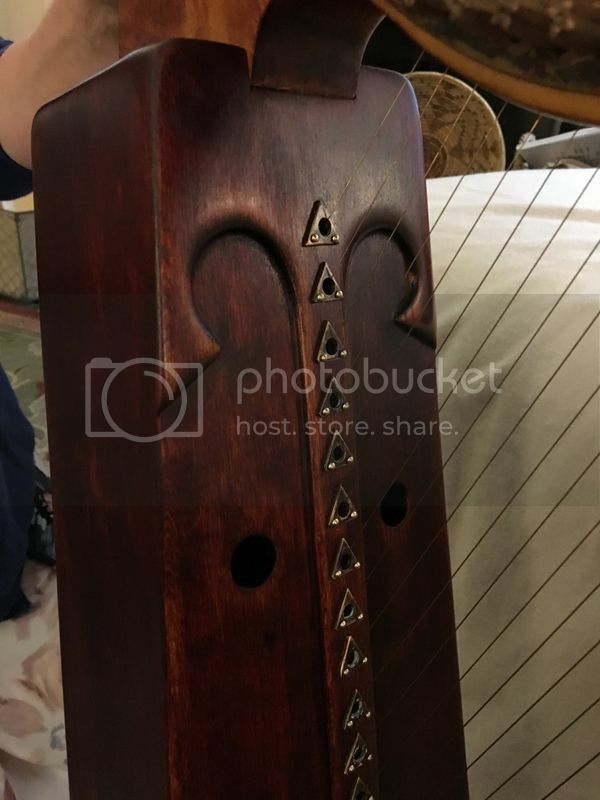 Beautiful instrument with lovely sound. The sound box was carved from a single piece of linden wood. 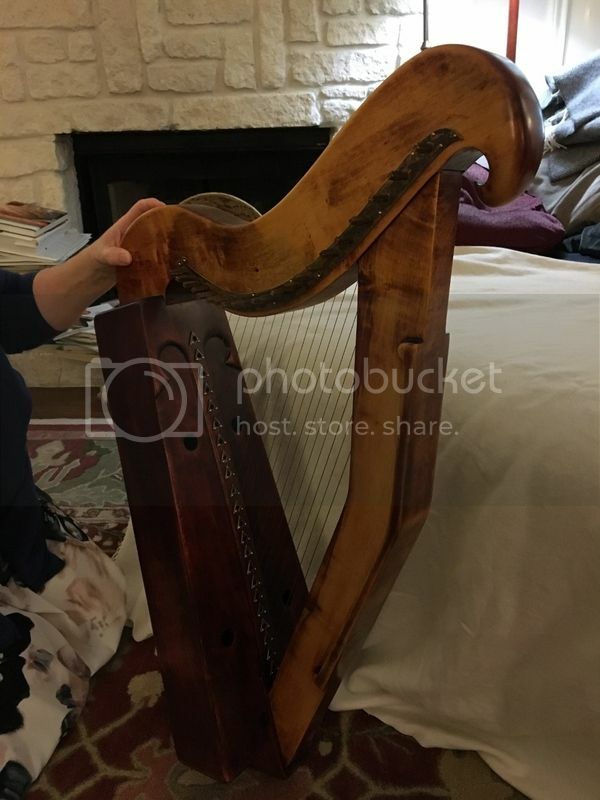 Hi, I am the owner of the brother or sister of your MacDonald 22 string harp - mine is the animal-headed one seen on William's video. I also have a larger 30 string harp by William called Scathach. They are exceptional value for a hand-built harp! Update: Mrs. Blackthorn has had a bit of a hard time with some of the tuning pegs, to keep them from slipping. William has been very helpful with advice and new pins. Still a lovely instrument with that ringing tone that only wire can give.